It's the season for giving, so if you're struggling to think of a last-minute present, why not buy great gifts that also give back? Lifestyle expert Jeannine Morris has some unique finds. 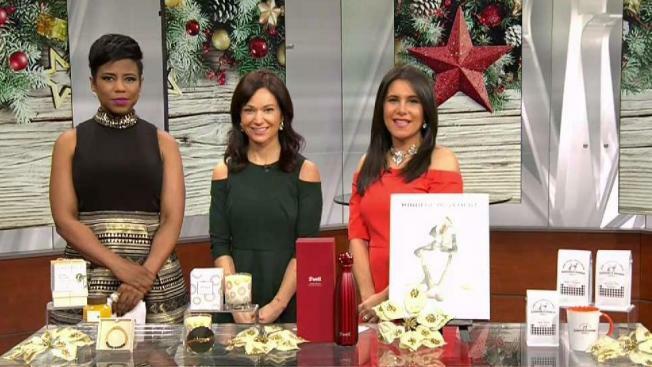 These items were hand-picked by lifestyle expert Jeannine Morris. NBC has affiliate relationships, so we may get a small share of the revenue from your purchases. Items are sold by the retailer, not by NBC. It's the season for giving, so if you're struggling to think of a last-minute present, why not buy great gifts that also give back? Lifestyle expert Jeannine Morris has some unique finds. Watch the video above and visit the links below! 1. Farmacy Bee Well Gift Set, $90: $2 from each gift set goes to City Growers for the development of their bee education program. 2. Hope the Uplifting Fragrance, $50: 100 percent of proceeds from Hope Fragrances go to the Hope for Depression Research Foundation to help fund the discovery of new medications, treatments and depression prevention. 3. Swell Swarovski Radiance Scarlet Bottle, $150: 20 percent of the retail price goes to help fight AIDS through RED. 4. Alo Yoga Mindful Movement Book, $88: 100 percent of the proceeds go to charitable groups like Yoga Gives Back and Yoga for Smiles. 5. Grounds & Hounds Coffee Co. Three Blend Starter Kit, $26: 20 percent of proceeds go to animal rescue partners located near the purchaser.